Hello everyone ❤ Hope you’re all having a good week! I can’t believe it’s Tuesday again! So this tea is one I discovered in Sydney. I had spent a day strolling around Bondi Junction doing some shopping and I managed to get myself lost. After wandering for a while I noticed a shop called ‘T2’, and call me strange but walking into that shop was like walking into my own home. I was surrounded by walls and walls of boxes of tea, all different flavours, smells, colours. It still comes into my mind in the clearest memory, and all feelings associated with it are my happiest ones. I tried so many samples and I spent a LOT of money in there, but this tea is by far my favourite. It’s called ‘Sleep Tight’ and the ingredients are lemonbalm, jasmine blossoms, lavender and rose petals. 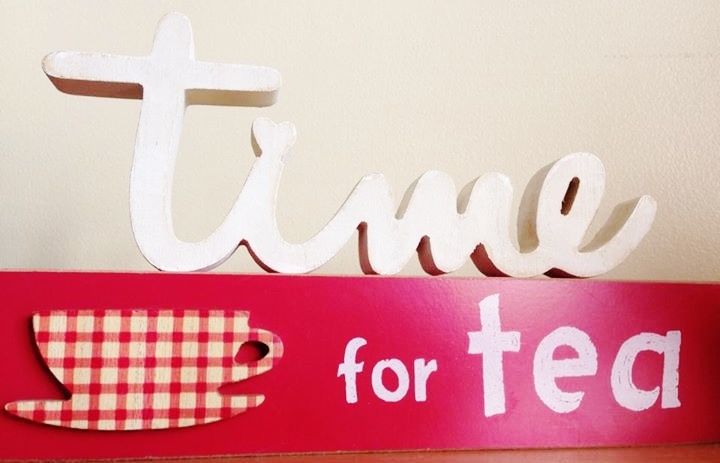 The tea itself is supposed to help promote restful sleep. And boy they got that right. All the elements of this tea are soothing and calming, and while it doesn’t make me fall to sleep any quicker, I find that I wake in the morning after a solid sleep feeling well rested. Sometimes if I’m feeling slightly under the weather I’ll add a drop of honey and it soothes my throat and helps me get that good night’s sleep I desparately need. The tea is best brewed with water at 100 degrees, and I normally brew for 3-5 minutes. The smell of this tea is mainly lavender, and the sweet flavour is just enough without being sickly sweet. 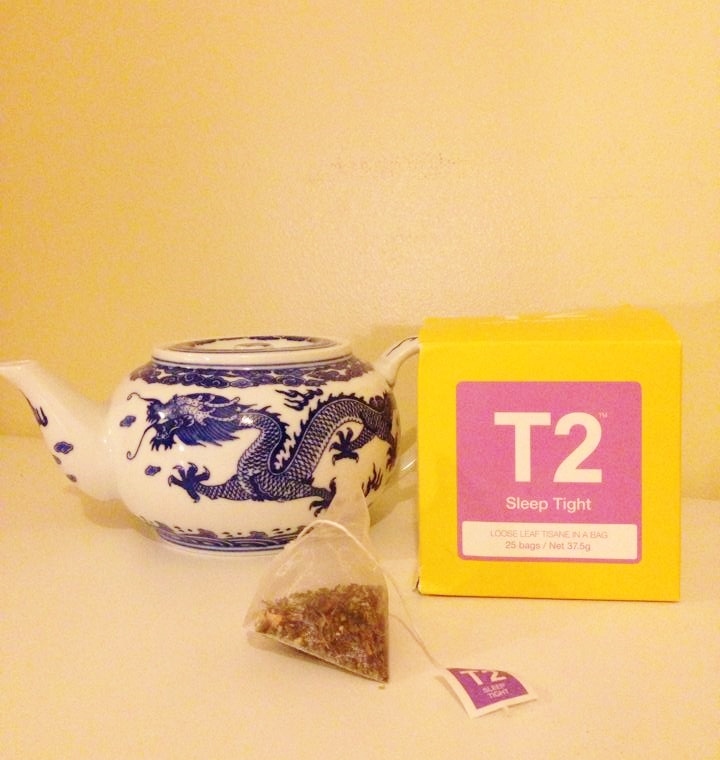 I would recommend this tea to those who like the earthy flowery tones in their tea. 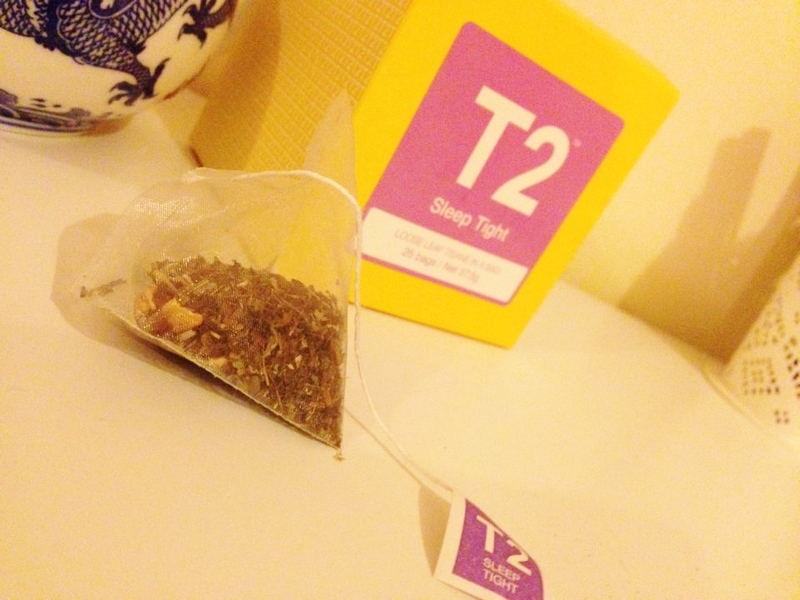 Check out T2’s website and have a gander at all their lovely teas! 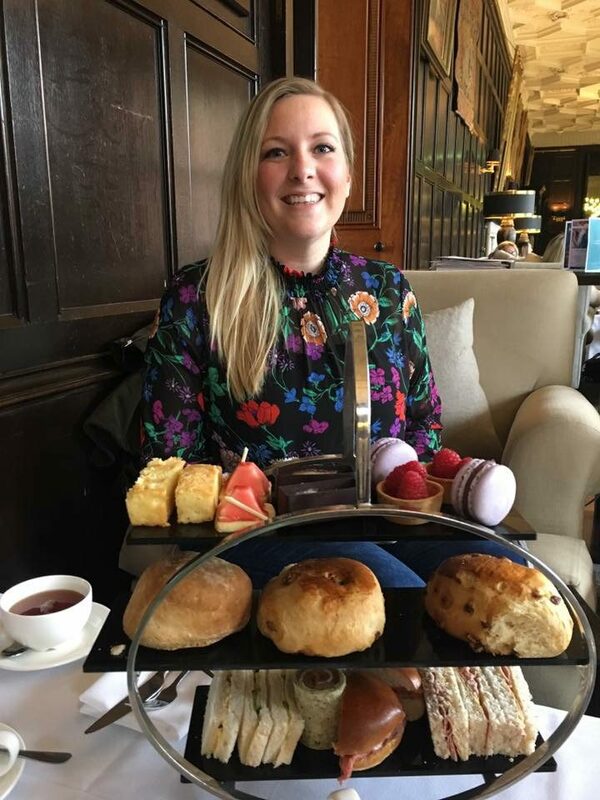 After reading this on the beautiful BambiLeigh’s blog, I thought I’d join in the fun! – What do you watch or read during me-time? I have a different film depending on mood or time of year! So it can either be Friends or Orange is the New Black if I’m just chilling. I love watching films like Frozen, The Holiday, Love Actually if I’m feeling jolly! – What do you wear during me-time? – What are your me-time beauty products? I love a face mask, either a lush one or I’ll use Soap and Glory Fab Pore. That one is just amazing, I feel so refreshed after I’ve used it and would recommend it to all! – Current favourite nail polish? This time of year is fab for nail colours. 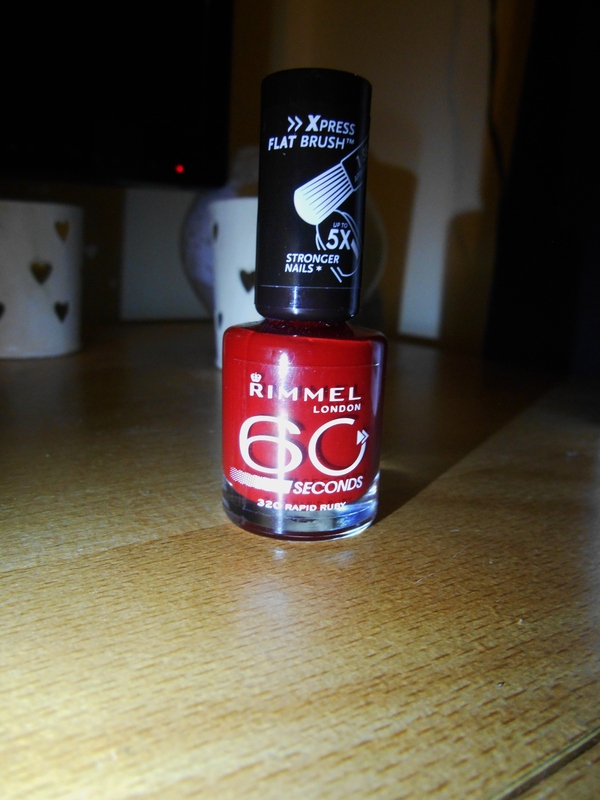 I love a plum colour, but my favourite at the moment is the Rimmel 60 seconds in ‘Rapid Ruby’. 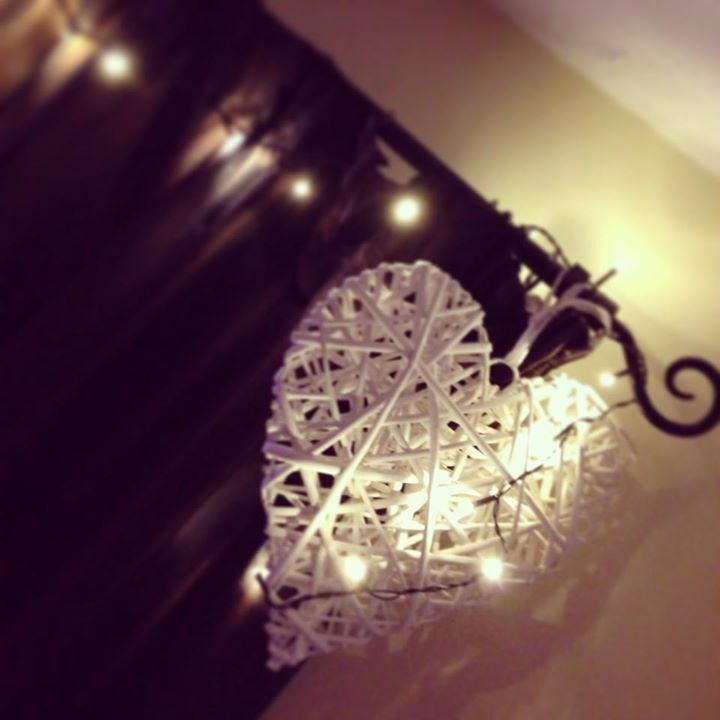 Its just lovely! I also have a beaut glittery gold for nights out, and I’ve already planned on wearing it for my work Christmas do! – What do you eat/drink during me-time? 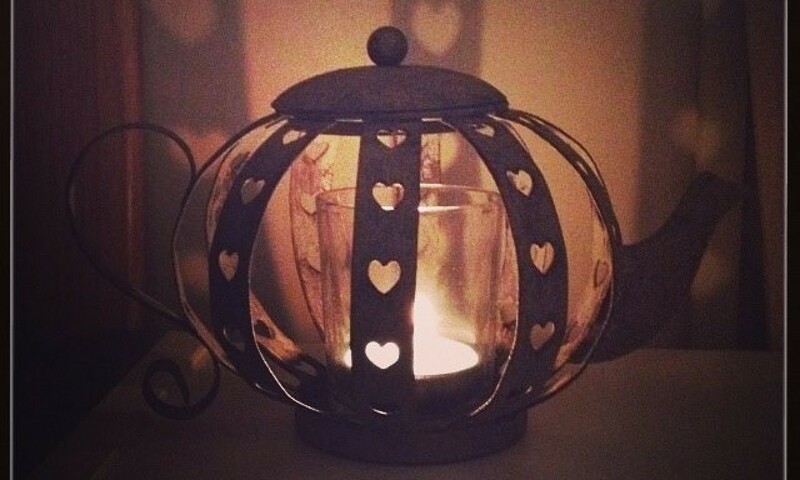 I have a lot of candles but right now my ultimate favourite is a woodwick candle; it crackles like a roaring fire and the smell is just the ultimate Autumn/Winter smell! – Do you ever have outdoor me-time? Sometimes, I’ll go for a walk usually with the dogs or go for a run down the country lanes. – Would you ever go see a movie alone? Nah, I have an irrational fear of cinema ghosts. 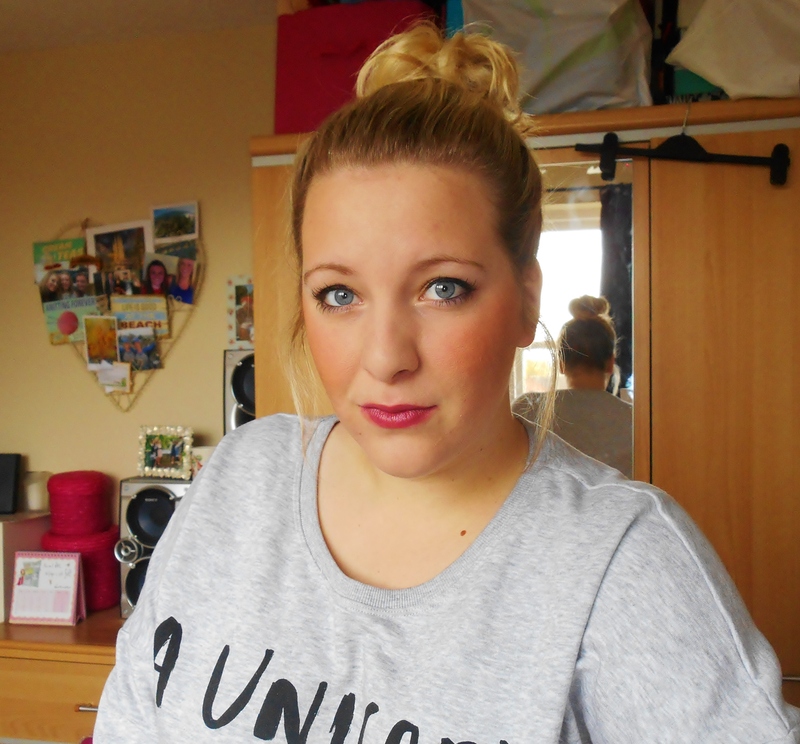 I have a few; Not on the High Street, Feel Unique and Dot Com Gift Shop! – Anything to add? What else do you do during me-time? I browse through shop catalogues, do a heck of a lot of list writing as I have a manic work life, and I listen to music! I love going on youtube and watching the likes of Sprinkle of Glitter, Zoella, Lucy And Lydia, Rose and Rosie and Hannah Maggs! I also love baking and putting all my energy into creating something that tastes delicious. 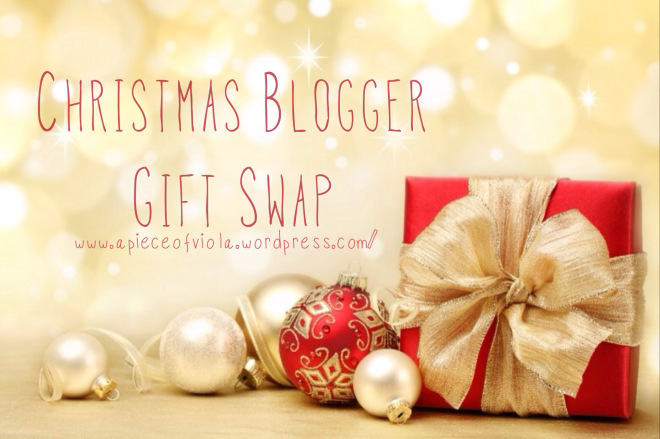 The purpose of this post is to let all you guys know about the Christmas Blogger Gift Swap; a wonderful opportunity to get to know fellow bloggers and connect with new bloggers! This event has been organised by the lovely Viola of A Piece of Viola so go check out her blog! I’ll paste the details Viola has posted in her blog so you get an idea of what to do, it’s all pretty easy! The idea behind this event is to basically get bloggers interacting which each other during the festive season and to do a gift swap. It’s a chance to get to know others and discover a variety of other amazing blogs out there! You’ll be paired with a fellow blogger at the beginning of December where you’ll have a short period to get to know them before you have to send them some lovely Christmas gifts. You don’t have to spend a massive amount of money if you don’t want to. Heck, you could even send homemade gifts (they are said to come from the heart) and are just as good! You and your partner can both decide a budget if you want to, but essentially it’s your choice. Fill out the Google form here and wait for a confirmation email from me. Write a blog post about this event within 3 days of receiving confirmation so that we can get as many bloggers involved as possible! November 28th: Deadline for completing the submission form. December 1st: Find out your blogger pair, yay! Write a blog post about this event within 3 days of receiving confirmation. 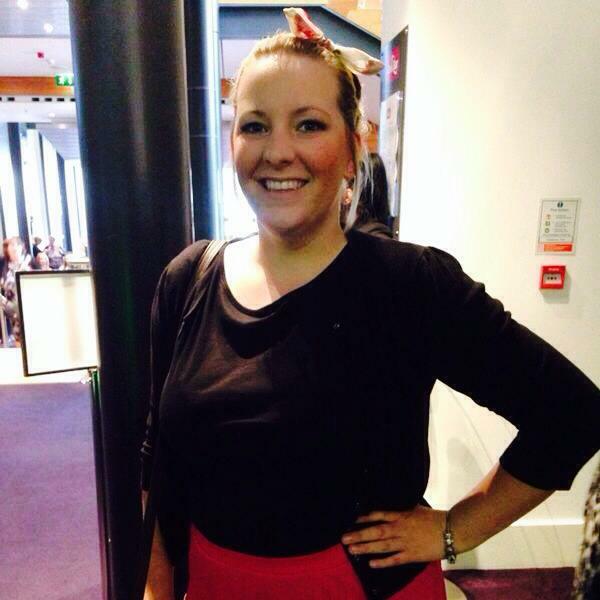 Send me links to all of your blog posts so I can see how the event has gone! I know it’s a sharp turnaround, what with November 28th being just 2 weeks away so I’d love it if everyone promoted the event so we can get as many people as possible involved! You can get in touch with me on Twitter & Instagram (@violahelen_) or email me at apieceofviola@gmail.com. This time of year is just my absolute favourite. Cold, crispy mornings, twinkly lights, hot chocolate, warm scarves and gloves, fireworks, I love it all. I have so many favourites at this time of year so I’ve narrowed it down to a smaller number, a bit of a range of things! Hope you enjoy them. These brushes are simply amazing. I swear by them and haven’t found any that even come close. 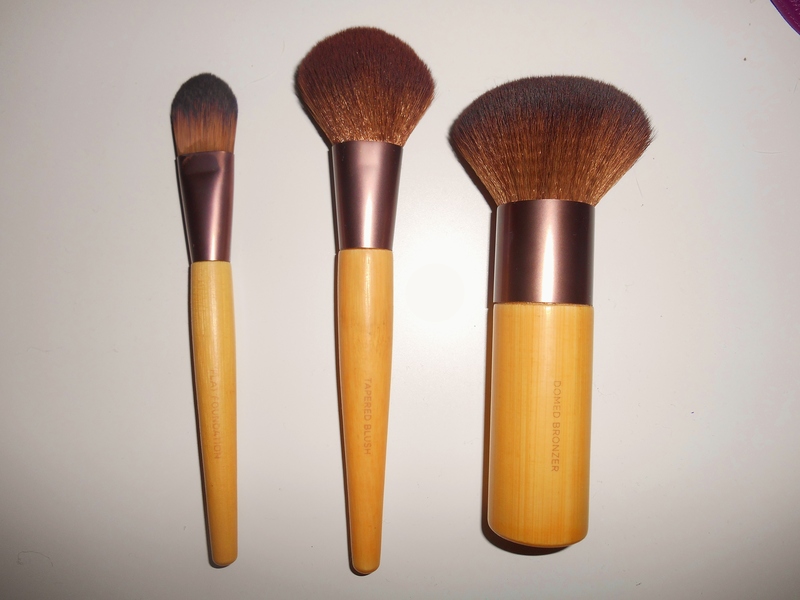 The bamboo handle is smooth, the bristles are so soft they feel amazing. The aluminium ferrules is recycled, and the are 100% cruelty free. The palette I have is called ‘Lace’ which has two intense matte shades; a coral and a bright red, and one rich shimmer which is a pinky colour. 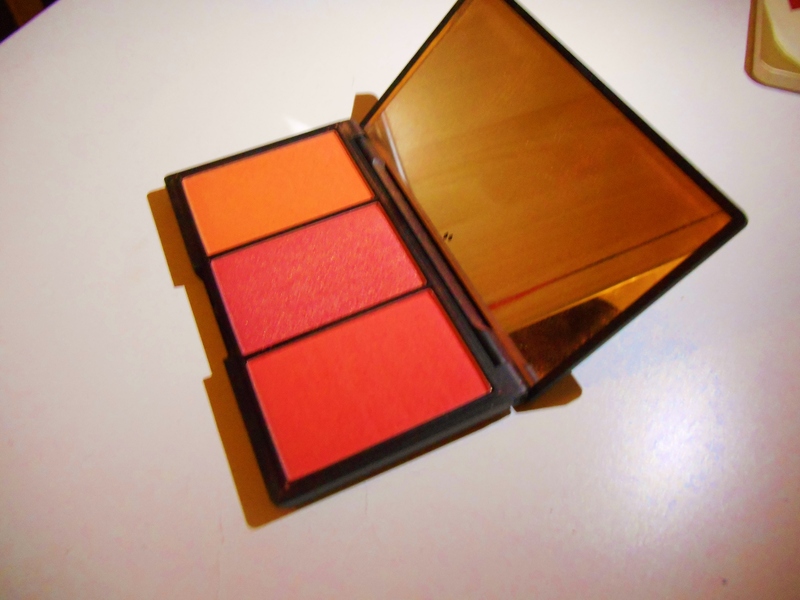 When looking for a new blush I wanted something really pigmented and relatively cheap, this palette is perfect. I wear this during the day but can also dress this up for night time make up. I got this nail varnish from my best friend as part of a Christmas box of goodies while I was in Australia. The colour just screams Christmas. I love to wear dark jeans with a chunky knit scream scarf and my black coat with red nails, it’s so wintery. I love love love this eyeshadow. 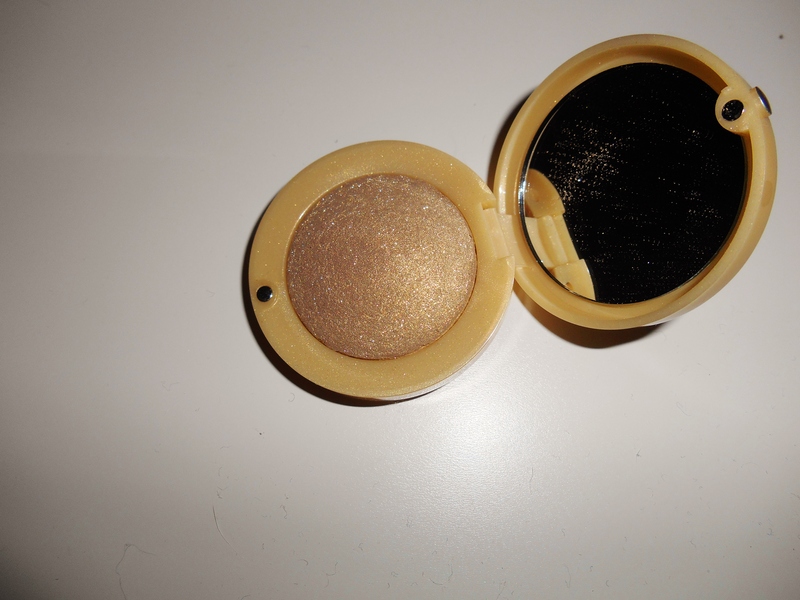 It is so shimery and perfect to illuminate your eyes. It brings out the blue in my eyes, which is why I love it, and the fact that once applied, my makeup is transformed. 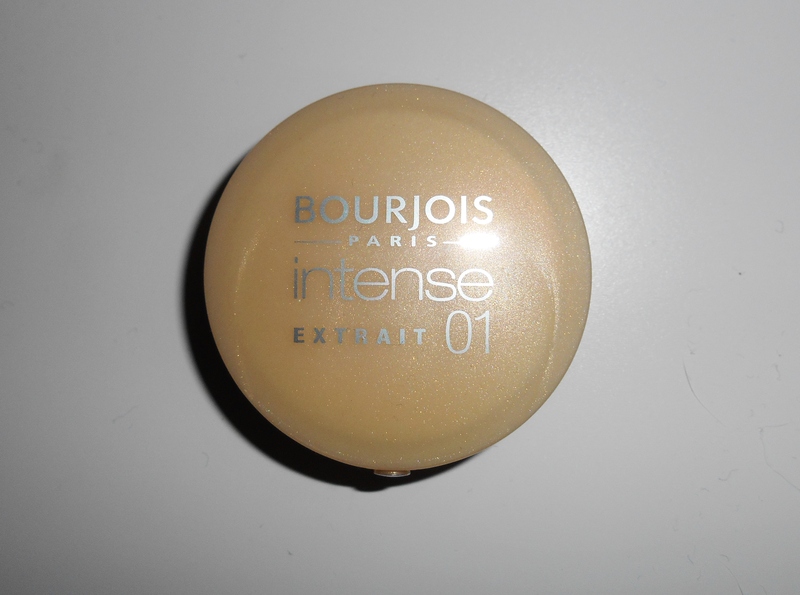 I love this when going out for dinner to add a little more shimmer, but you can really go to town with this too. 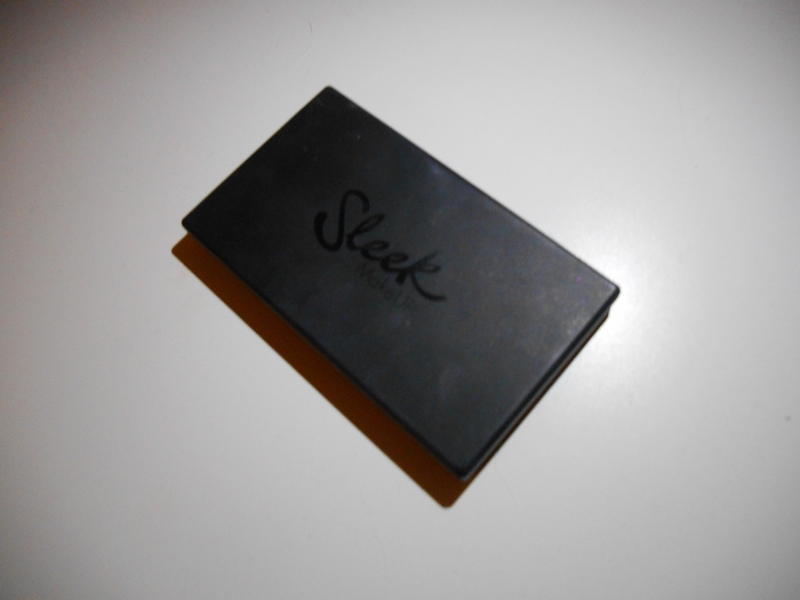 A staple eyeshadow for me. 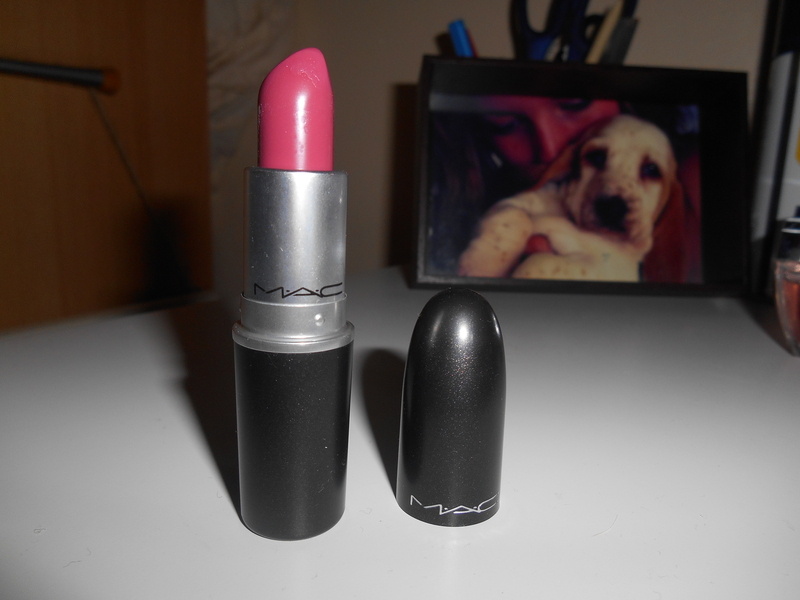 This lipstick is my absolute favourite at the moment. 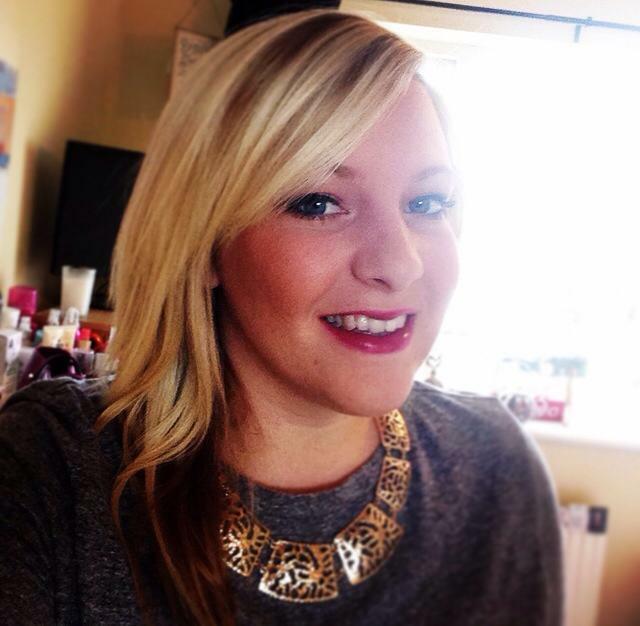 The plum colour is perfect for Winter and it brings out the brightness and colour in my face without washing me out. I also feel like some red lipsticks tend to make teeth look slightly yellow. 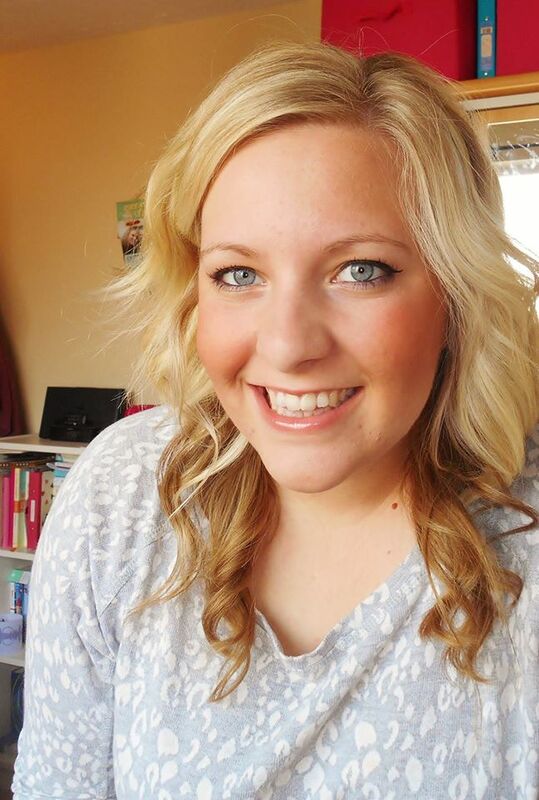 This plum colour makes my teeth look nice and bright! A lot of people talk about the summer drying out your hair, I find that my hair feels drier in the Winter. A combination of blowdrying my hair, straightening it and tying it up makes my ends dry and easily split. This mask is very affordable and I have found it really works. 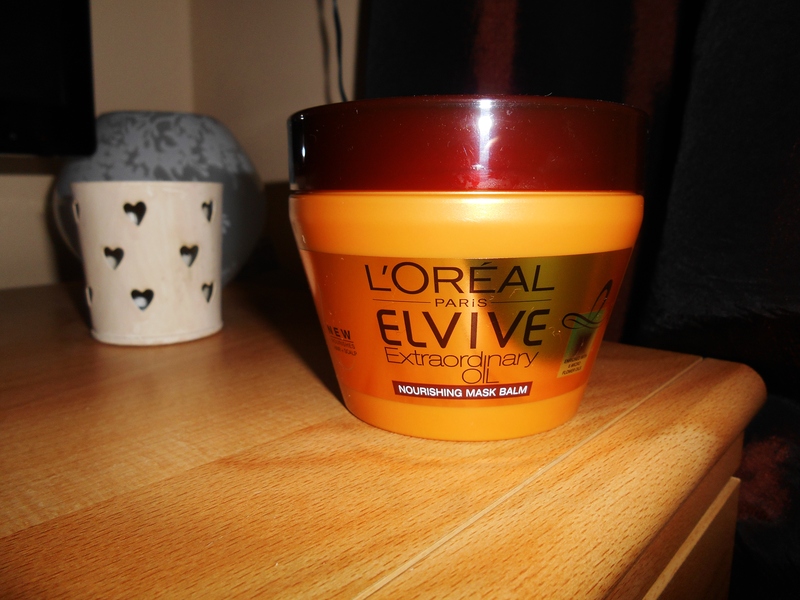 I left it in my hair for five minutes, and the result was soft smooth hair, it feels more voluminous and hydrated. A must have. I won’t say much about this, just that I am now addicted. Most people know I am an avid baker and spend most weekends baking something. This month has been no different. Last weekend I made a carrot cake but my favourite cake was the cupcake bouquet I made for my Mum’s birthday. 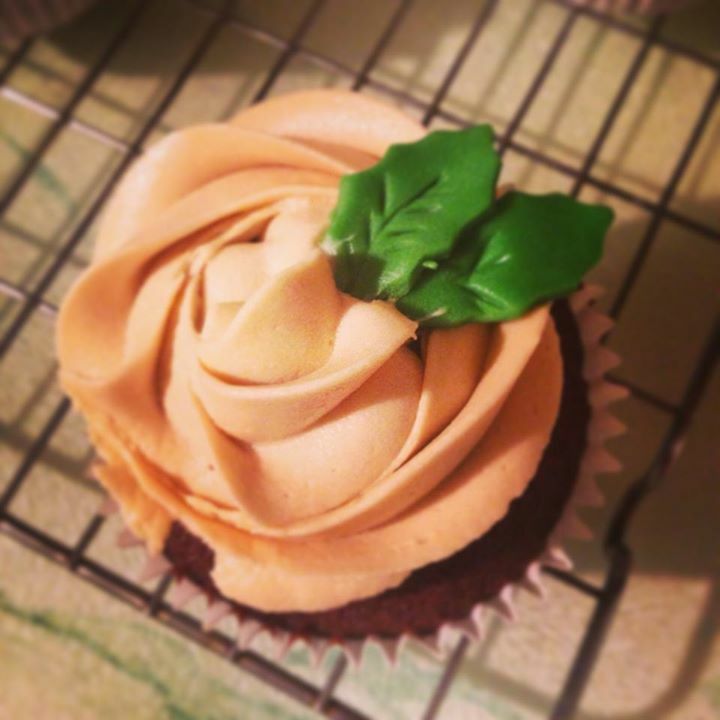 I made chocolate cupcakes with a golden buttercream, piped on in a rose style and I made some leaves with green icing. I am so proud of myself, and I keep baking and improving; one day I might make a living from it! 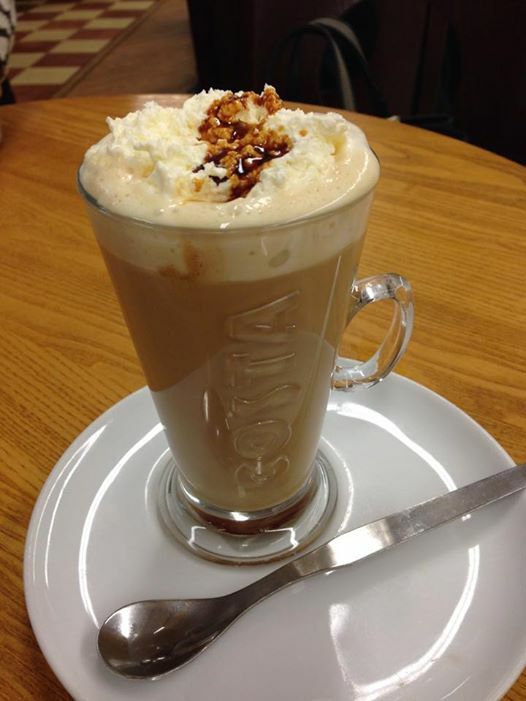 What have been your favourites over November? Have you tried or bought any of these products and what do you think? Sorry it’s been so long, promise I won’t leave it this long again. Lots oof good things are happening so I’ll be writing lots of blog posts to share at a later date. 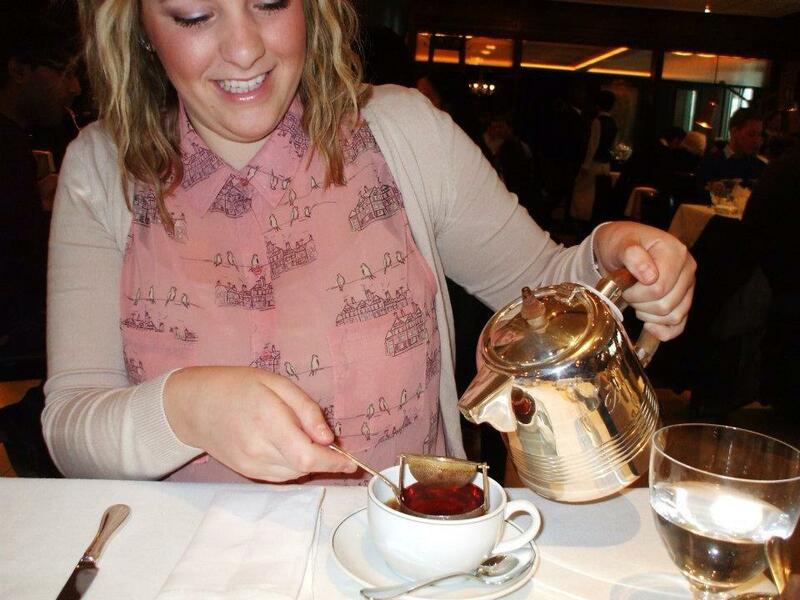 Back to the topic at hand; tea. So like most of the people I know, I have felt a bit under the weather, just a bit snotty, sore throat and blocked nose. I also tend to feel very sorry for myself when I am even slightly ill, so I have lots of back up remedies for a case just like this. 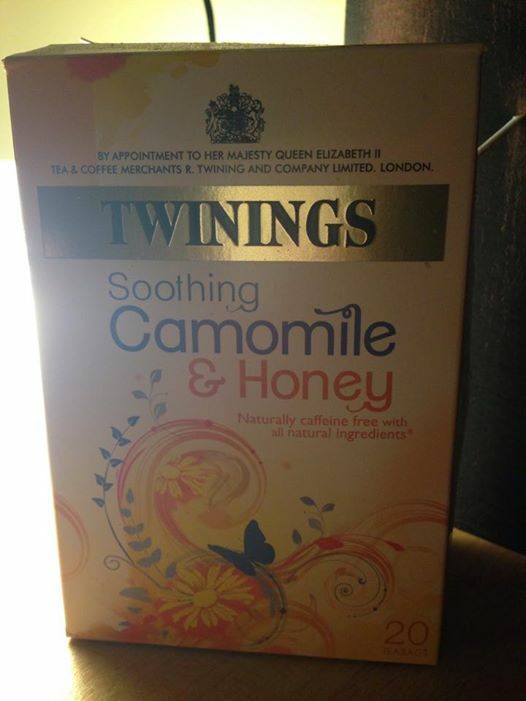 So along with the typical beechams and soothers, I swear by Twinings Soothing Camomile and Honey tea. I have always got this when I feel a bit groggy, and I can honestly say it works every time. 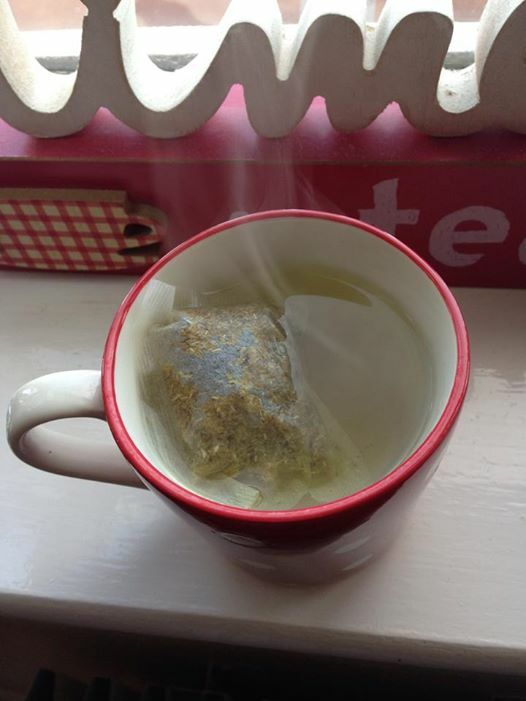 So this tea is quite mild in my opinion, you can taste the honey but not too much, and the camomile is just enough. I’m not a huge fan of ‘herby’ teas, but I really like drinking this one. It soothes my throat and generally relaxes me. I drink a cup in the morning which helps me perk up, and as it is naturally caffeine free I have a cup before bed and I’m out like a light. Does anybody else drink this tea if they are feeling a bit poorly? What are your remedies? I’ve been holding off on reviewing this particular product as I really wanted to try it for a while, and see if there were any effects on my skin. So I have been using it for around a month now and I’m really pleased to say that there has been an improvement in not only the appearance but the quality of my skin. For as long as I can remember I have had ‘problem skin’. Blocked pores and regular break outs. At 25 years old you’d think I would be given a break by now but no, not yet! You name it, I have tried it when it comes to skin care products. It’s taken me a long time, and I have had bad results and good results when it comes to products. The best piece of advice I was ever given is to keep it simple. A lot of high street skin care products actually feed spots, encouraging the skin to produce more oils and block pores. I couldn’t understand why I would have huge breakouts after washing my face, but Clean and Clear products really dislike my skin. I guess if all skin care products cleared everybody’s skin; they would go out of business. My skincare routine is now much simpler. I use the cleanse and polish morning and night; simply rubbing two to three pumps of the cleanser onto my dry face in small circles as to not spread makeup elsewhere around my face. I massage the cleanser into my skin for a couple of minutes. I then immerse a muslin cloth in hot water, squeeze all the water out so it is damp, and use a clean part of the cloth for each part of my face. I gently wipe off all the cleanser and once it is all off I splash my face with cold water. This part is really important; splashing cold water on your face after cleansing closes your pores after the heat has opened them. This prevents your pores becoming clogged up. The difference I’ve seen in my skin has converted me to a true Liz Earle follower.The natural ingredients don’t flare up my skin, and while everybody’s skin is different; I would 100% recommend it. My pores are less blocked, the redness has really faded and my skin feels softer and more nourished. Do you have any favourite skin care products you swear by? Has anyone tried the Liz Earle hot cloth cleanse and polish?